SelectionLink studied Administrators for a large healthcare organization. They all took the online assessment. Before the results were analyzed, the organization separated the administrators into 3 different groups based on their past performance with the company. The average score of the top-performing Administrators was over 30 percentile points higher than the average-performing group and nearly 50 percentile points higher than the lowest-performing group. 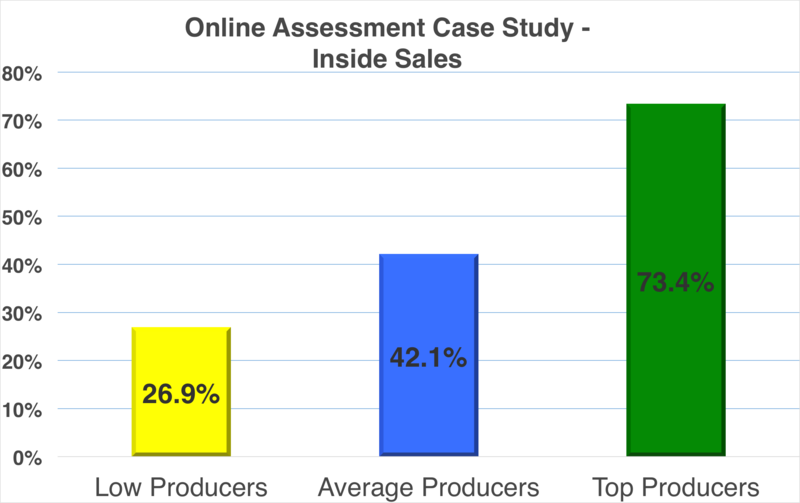 These results provide a clear indication of the power of the online assessment. Imagine if you had this information before making your hiring decisions. If you could hire mostly top performers for your company or department, you could witness astounding results. Change the way you hire, and contact us today!